From content creation to campaign launches, keep everyone aligned on strategy, requirements, timelines, and deliverables. 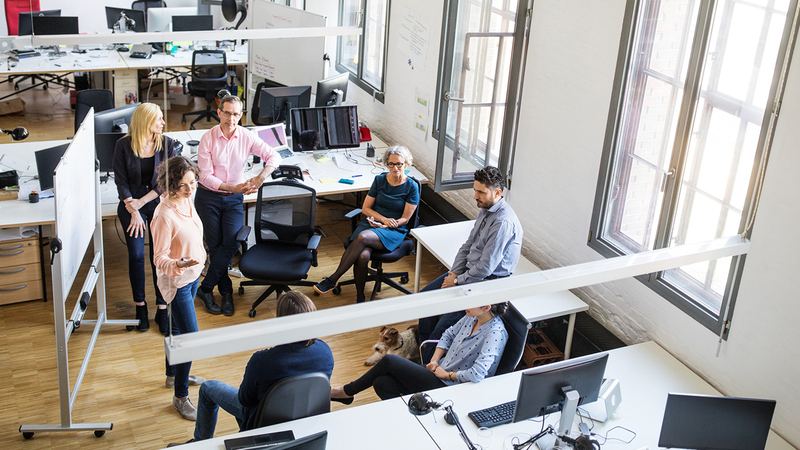 With real-time scheduling data, staff projects faster, forecast hiring needs sooner, and see who’s available or overworked by seniority and discipline. 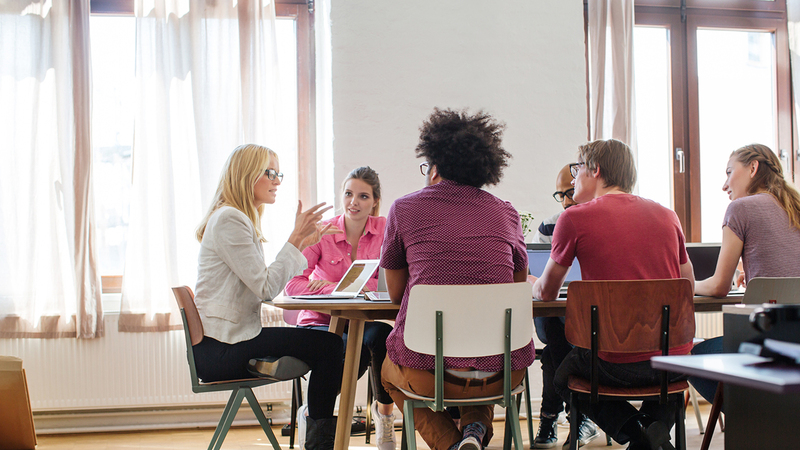 Centralize campaign planning to reduce status meetings, increase actionable insights, and accelerate delivery. 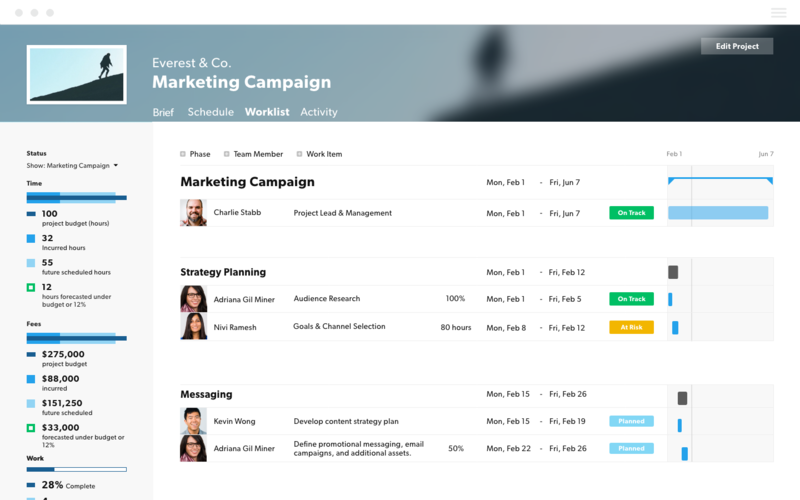 Easily track campaign phases and deliverables to launch. Within one view, see your strategy briefs, requirements, progress to goal, budget forecasts, and team utilization. Spend more time acting on insights, and less time combining project data from multiple tools and spreadsheets. 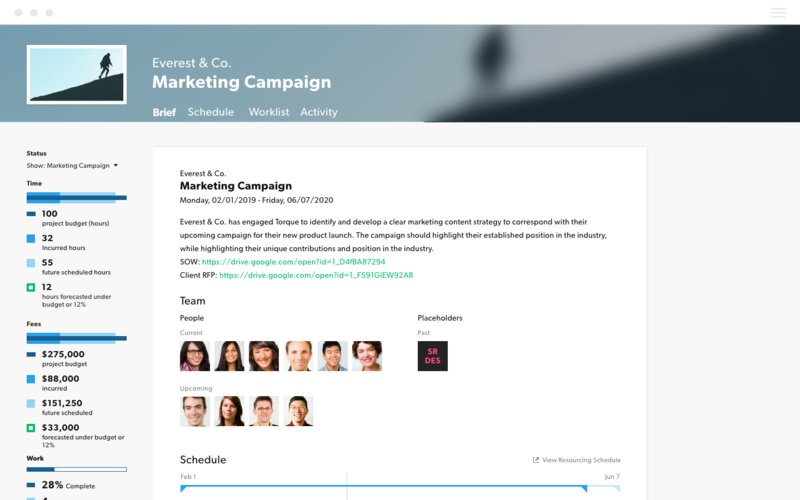 Staff your next campaign with the right marketing disciplines and experience levels within a few clicks. Within a selected time-range, 10,000ft uses real-time data to show you who’s available by seniority and discipline. 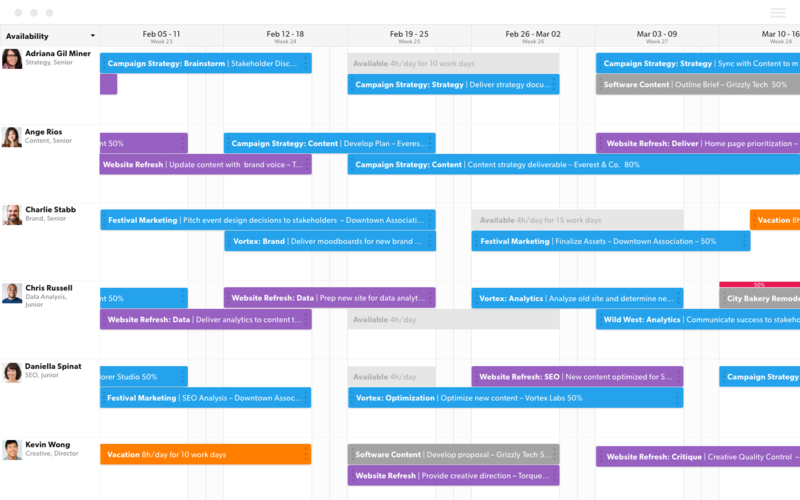 From ideation to launch, set and track tasks for every phase of your campaign. See who’s working on what and when throughout your roadmap to launch. By month, quarter, or year, zoom out to see trends and insights across your portfolio of projects and campaigns. 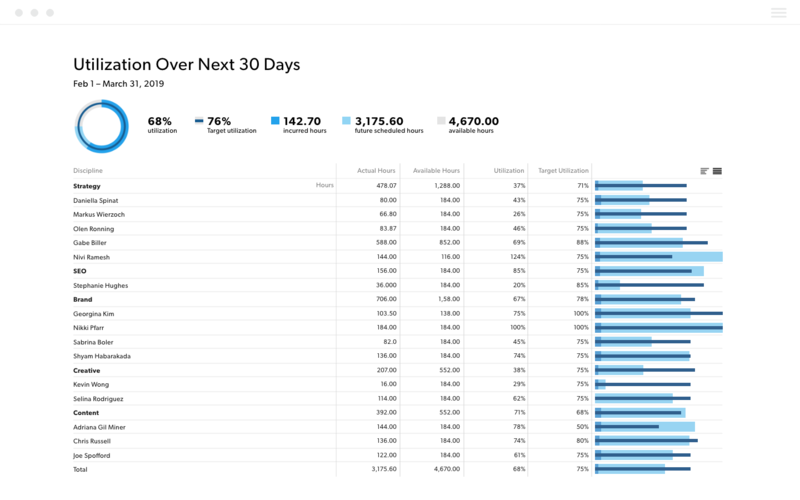 Use data across your marketing team to show where you’re hitting forecasts, meeting budgets, and maximizing (or underutilizing) key team members. 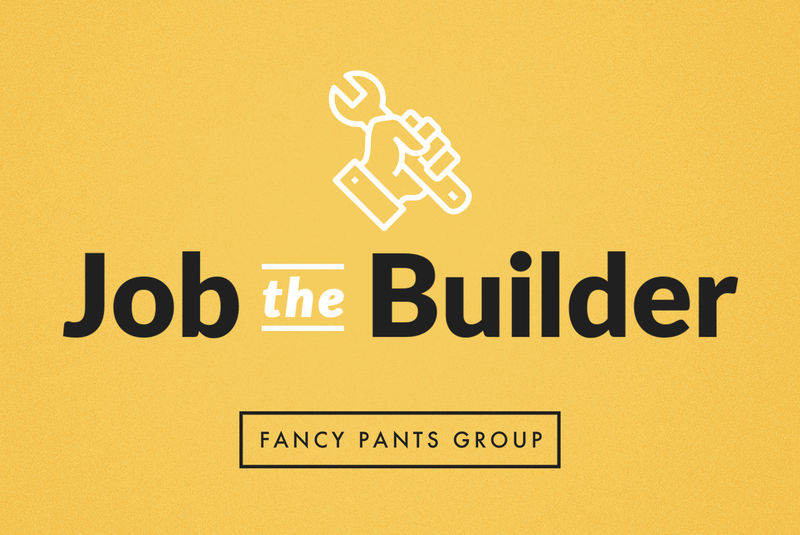 On login, your team can quickly see their projects and allocated time for the day and week. 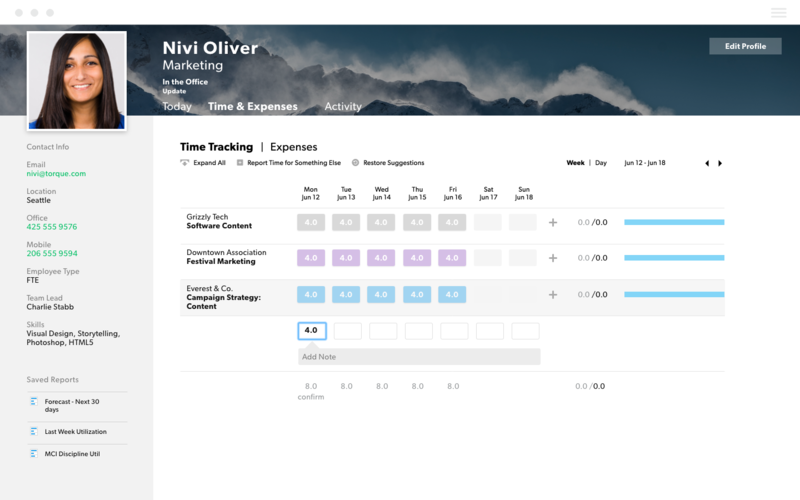 Within the same view, team members can confirm their timesheet, input actual time spent, and add detailed notes to time entries.